Hopefully it'll do better than the last electric supercar from Audi, which was mostly a dud. Audi is exploring possibilities for a new supercar which will replace its second-generation R8. One possibility is an all-electric car that uses solid-state batteries to go up against the Rimac C_Two and the proposed new Tesla Roadster. 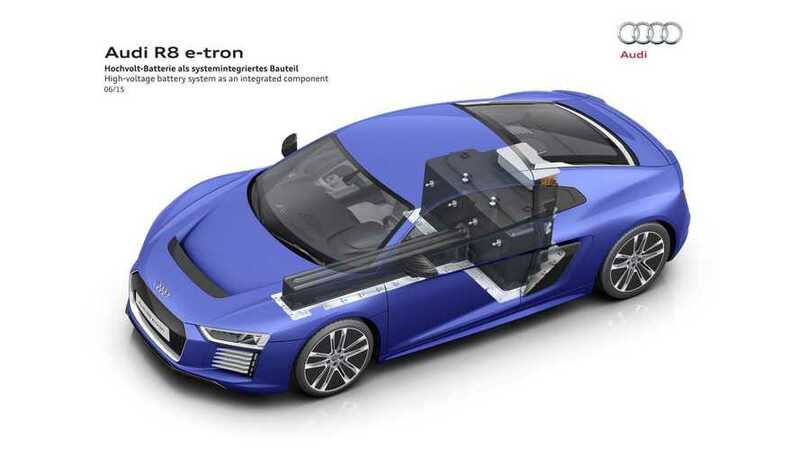 280 Mile Audi R8 E-Tron Becomes Reality - Will Be Built "Upon Customer Request"
In an interview with Australian outlet Motoring, Audi's head of product communication, Peter Oberndorfer, apparently revealed that the electric performance car is on the table. 'We are considering everything at the moment but I personally believe we need a little bit more battery development,' Oberndorfer said when asked about an electric supercar. Audi has already tried to introduce an electric superar – the R8 e-tron came out in 2015 but was pulled from sale after less than a year. The e-tron provided no better performance than the Tesla Model S which cost much less and had space for five and luggage inside. The problem for that car was the batteries – lithium-ion can't provide the range, takes a long time to charge and also weighs a lot. Solid-state batteries could provide a useful solution to those issues, as they provide better range and charging times. Audi's first volume production electric car, the e-tron SUV launches on 30 August, and will be followed by a whole range of electric cars in the coming years.